HISPANICS RELY ON ASIAN CARS. During 2010, the Hispanic market bought 8.7% of all new cars in the U.S. and this figure could grow further. Southfield, Michigan — Toyota, Honda and Nissan dominate the preferences of Hispanic & Latino shoppers in the U.S., according to a study conducted by Polk. The three companies mentioned above, gather 46.4% of the total Latino market according to the analysis of new vehicle registrations in the first nine months of 2010. Toyota topped the list with more than 20% of the market and 46% of volume records, while Hyundai, Mazda and Kia also entered to the Top 10, and only three domestic firms were placed on the list: Chevrolet, Ford and Dodge, which represent a combined 21.2% of the Latino market. As for European brands, Volkswagen led with 2.8%. Asian automakers have gained popularity among Hispanics and Latinos over the past 10 years, and their sales were increased even more than the general population, which means a significant growth due specially to the development of programs and marketing strategies created especially for these buyers. 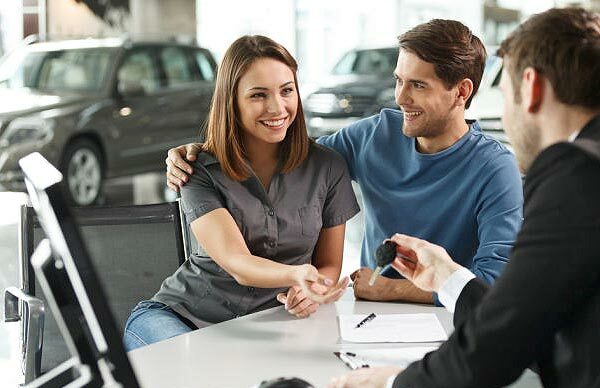 Hispanic and Latino car buyers in the U.S., increased 6.5% during the first nine months of 2010, surpassing to the the U.S. market, that barely grew 4% over the same period. Hispanics and Latinos bought 8.7% of total cars in the U.S., and although they didn't reach the 10.6% of 2006, due to the economic crisis, the situation is recovering gradually. Buick sales in this group have grown 83%, since they have focused on Hispanics and Latinos because they prefer comfort and amenities in a family car at an affordable price. Other brands, such as Chevrolet, Hyundai, Mazda and Kia reported greater growth in this group than in general of their respective brands. While Cadillac, GMC, Kia and Infiniti, experienced 25% growth in sales for the Latino and Hispanic market. Half of European cars that are leading the manufacturing growth or at least maintained their sales in this sector, are Volkswagen, MINI and BMW. Audi grew 23.4% over 2009, but together they represent less than 1% of the market. The other half of the brands lost sales in this segment. The Census Bureau projected that the Hispanic and Latino population from the U.S. will grow up to 20% by 2030. To stay competitive with Asian brands, domestic manufacturers must work to establish their products in this high growth segment of the population, as well as increasing their size and influence.